Lipsticks, glosses, balms, and lip liners are amongst the most commonly used makeup products. To top that off, these are small and handy and are carried everywhere by most women. In fact, studies show that women conscious about their makeup apply/touch up lipstick even up to twenty times a day! 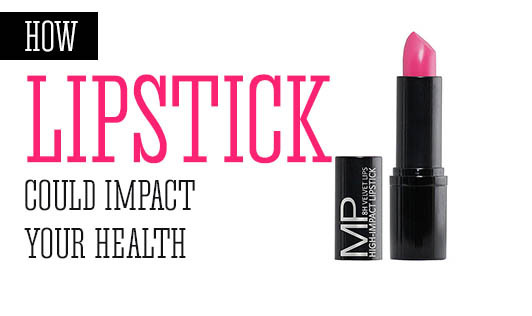 But have you ever wondered if these lipsticks could have a negative impact on your health? Several studies have confirmed that nearly all lipsticks and glosses contain at least a trace of lead. Lead accumulates in the body and leads to lead poisoning. It is said that the more close to a brown shade your lipstick is, the higher its constituent lead composition will be. Apart from lead, several other metals such as aluminum, cadmium, and copper are also present in lipsticks. These may be essential ingredients for stabilizing, softening, and grit enhancing, but definitely are not something without which lipsticks cannot be made. Keep lipsticks away from children. Use lipstick only when you need to face a crowd or when you are going to a social gathering, where you feel it is essential. Avoid more than one touch up a day. Apply it as a thin layer over your lips. Avoid dark shades as often as possible. Furthermore, the best thing to do is switch to organic brands or lightly-tinted lip balms that use natural ingredients to build your lipstick.